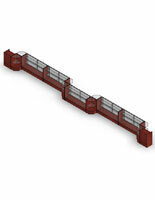 These retail sales counters consist of two 24" register stands, one 48" display counter, six 72" retail counters, and eight corner display counters. 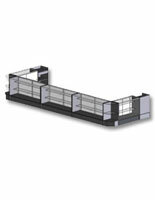 Retail sales counters, like other store display cases, have plenty of room to display all of your merchandise. 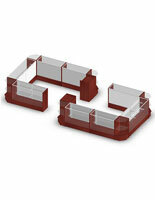 You can also utilize the countertop space of these retail counters by displaying impulse-buy items as well. By placing items where customers will be checking out, they will be more likely to buy these items on a whim, further increasing your sales. 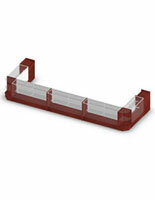 Our retail sales counters are an attractive, yet affordable way to display your merchandise. Whether you're displaying perfume, jewelry or designer purses, store fixtures like these retail sales counters will accent your products as well as draw customer attention. 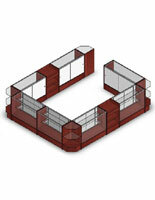 Perfect for any retail environment, these retail sales counters make stylish retail displays without the hefty price tag. 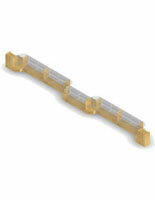 This line of retail sales counters is measured for your convenience. 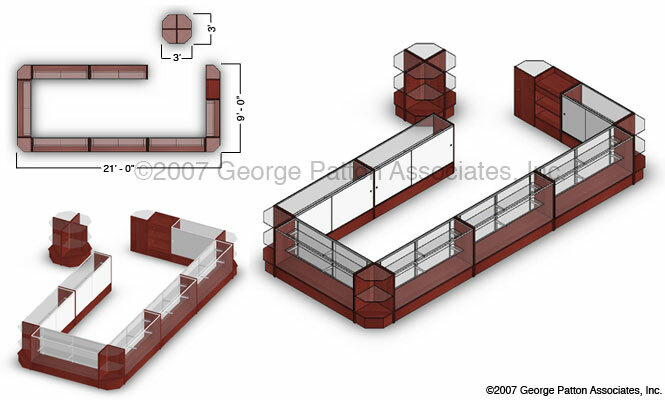 We offer retail sales counters in a variety of sizes so you can find the one that is best for your retail display needs. We've taken the guesswork out of store display showcase shopping, which makes finding the right retail displays that much easier. The hardest part is finding the finish and size that is right for your business.